Simpson Technologies Corporation welcomes you to visit us at the American Foundry Society (AFS) CASTEXPO & Metalcasting Congress at the Minneapolis Convention Center in Minneapolis, Minnesota held this year from April 16th through April 19th. Simpson Technologies is located immediately at the main entrance at Booth 2308 located in Hall D. CastExpo is the largest exposition of metal casting technology in the Americas. CASTEXPO is held once every three years. underrates the total capital cost to acquire and install the equipment. 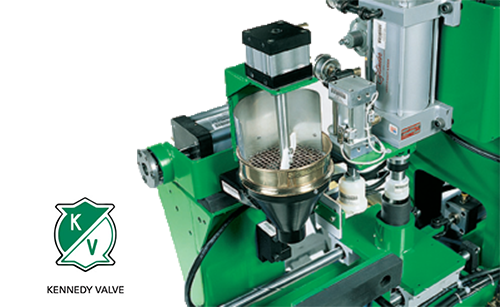 These benefits create value by producing molding sand that maximizes the potential of plant castings to produce high value, high profit metal castings. At CASTEXPO, Simpson Technologies will be displaying several large pieces of its sand preparation technology and a large display of the Simpson Analytics product line to demonstrate how Simpson equipment enhances the performance and control of foundry sand preparation systems. A Model MC-100 Simpson Multi-Cooler®, a 100 tph version of the world’s most popular sand cooler and pre-conditioning system. This technology will be installed after CASTEXPO in the Dotson Foundry in Mankato, MN. 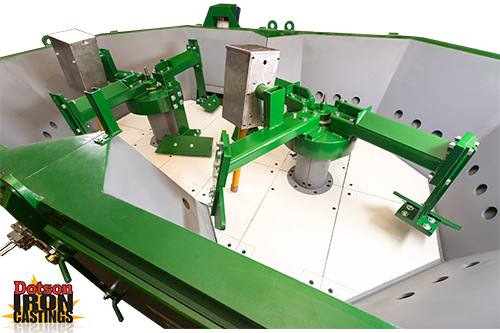 A Model 17Mk2/2552 Simpson+Hartley® On-Line Control & Automatic System designed to provide accurate and consistent control of compactibiity and bond content for a Simpson Multi-Mull® continuous mixer. This technology will be installed after CASTEXPO in the Kennedy Valve foundry in Elmira, NY. A Model 2-Cell Simpson Pro-Claim® sand reclamation system for reclaiming bentonite bonded or chemically bonded sand for reuse in molding systems which results in significant savings in raw materials and disposal costs. This technology will be installed after CASTEXPO in the Manufacturers Brass & Aluminum foundry in Blue Island, IL. A Simpson Analytics Sand Laboratory Instrumentation including the 42104 Universal Sand Strength Machine, 42105 Digital Absolute Permmeter, 42106 Laboratory Shifter, 42112 Wet Tensile Tester, 42141 Friability Tester, and the 42160 Digital Pneumatic Sand Squeezer. This product line incorporates the most innovative electronic, sensors and process technology to achieve accuracy and repeatability, improved ease of use, low cost of operation and better results. This technology will be installed after CASTEXPO in the new Lodge Manufacturing foundry in South Pittsburg, TN. Simpson Technologies is looking forward to meeting with you at CastExpo’16. Simpson will be represented by personnel from the Aurora, IL office as well as Simpson team members and sales agents from around the world.